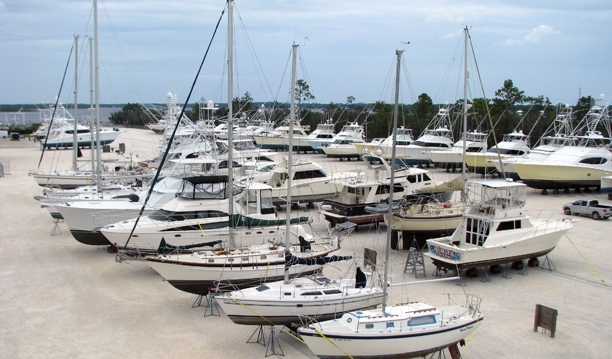 The Barber Marina Boatyard offers a comprehensive array of marine repair services. 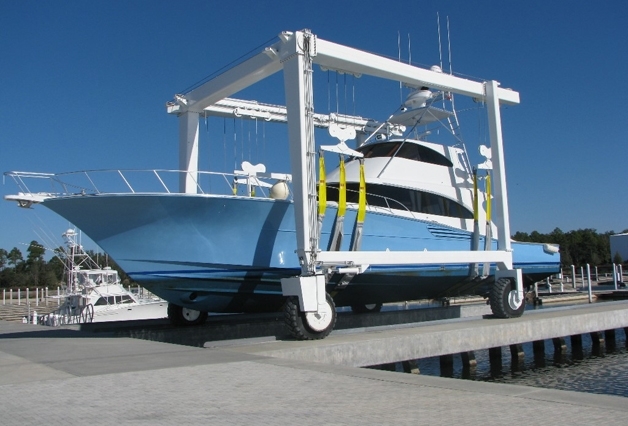 With four Marine Travel Lifts (110 ton, 75 ton, 70 ton, and 30 ton) we are equipped for dry docking vessels over 100 feet, up to 220,000 pounds, and drafting up to 12 feet . Our experienced and dedicated staff provide superior workmanship, outstanding customer service and in-depth knowledge of the boating industry. 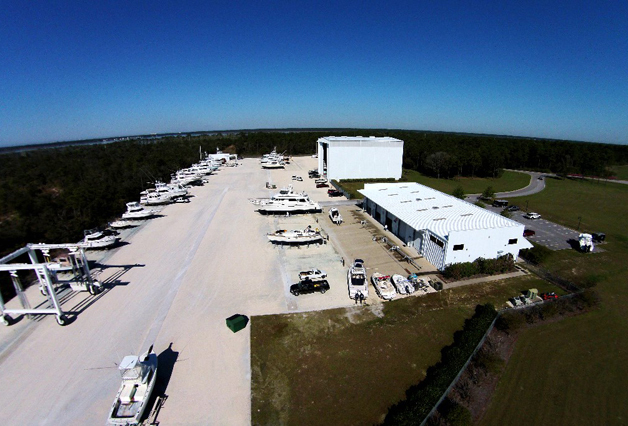 With over 9 acres of working space, a yacht-repair building with 60’ vertical clearance, and a covered work area, our yard offers the flexibility to complete all of your marine service needs. Each boat dry dock area has water, electricity, and compressed air. 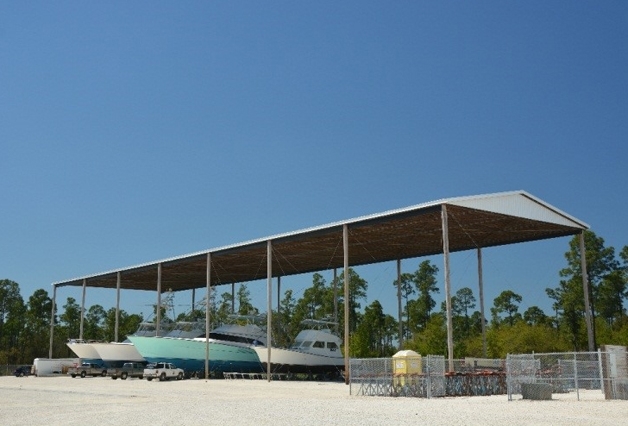 The yard is available to marine service providers and owners as a place to perform work on their boats. With our experienced staff, we are able to provide rapid service at competitive rates.